Home / Bollywood / Tara Sutaria's exit marks Kiara Advani's arrival in Shahid Kapoor's Arjun Reddy remake! Tara Sutaria's exit marks Kiara Advani's arrival in Shahid Kapoor's Arjun Reddy remake! Bagging a role isn't a runaway victory, but sustaining the same is unpredictable. Given that every actor is flexible in his or her approach towards the role, competition in the realm has widened with every emerging kid in the Bollywood block. Shahid Kapoor was immersed in the promotions of his latest release Batti Gul Meter Chalu. The actor is currently prepping up for his next Arjun Reddy remake, which was put to halt for an unknown reason. The actor had to grow his beard to keep his look apt for the character in the film. Earlier, there were reports about Tara Sutaria playing the female protagonist in the remake. However, her exit from the film had caused another hurdle in the making of the film. 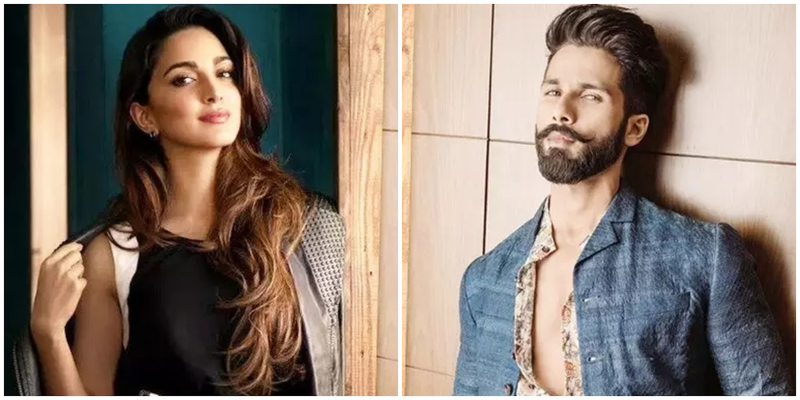 As per the latest reports in a leading daily, Kiara Advani has stepped into the shoes of Tara Sutaria to play opposite Shahid Kapoor in the film. Informing about the same, a source close to the film's unit revealed to a leading daily, "When the film's director Sandeep Vanga approached her for the role, Kiara instantly jumped on the bandwagon! The actress is all kicked to play the part, and will join the sets of the film soon." Kiara Advani rocked the screen with her power-packed performance in Lust Stories which carved a niche for herself in the Bollywood market. Thus, Kiara became the right choice for the makers of the remake to rope her in for the lead role. Tara Sutaria had signed Dharma Productions' Student Of The Year 2 which got delayed for next year's release. This led Tara to part ways with Shahid Kapoor starrer Arjun Reddy remake, as her contract with Dharma states that SOTY 2 will be her debut film and that she won't be permitted to make her debut in any other film.